The Young and the Restless (Y&R) spoilers for Thursday, October 12, tease that Nikki (Melody Thomas Scott) will grow concerned. After receiving updates from Nick (Joshua Morrow), Nikki will suspect that something big is brewing. Hilary’s (Mishael Morgan) comments will also give Nikki a clue about what’s to come. Nikki will let Jack (Peter Bergman) know that she needs to step away for a moment. She’ll suggest that she has to go see what Hilary’s done to her family this time. Nikki will expect major drama and she’ll definitely get it. 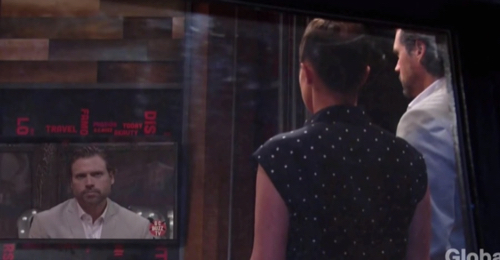 After Nick tapes his interview on Wednesday’s Y&R episode, the stunning footage will be ready to air. On Thursday, Nick and Chelsea (Melissa Claire Egan) will sit down to watch The Hilary Hour. Chelsea will be incredibly nervous about the fallout of all this. Nick may battle a hint of anxiety as well, but there’s no turning back now! Nevertheless, Nick will mostly feel relieved that the truth is coming out. He’s hoping to show everyone just how ruthless the great Victor Newman (Eric Braeden) can be. Hilary will introduce the segment and the shockers will begin. Nikki, Victoria (Amelia Heinle) and Abby (Melissa Ordway) will undoubtedly be taken aback by Nick’s actions. They may scold Nick for going public. Hilary normally targets the Newmans and any other families that can score her ratings. Now Nick’s just handing her a scandal on a silver platter. Some family conflict is bound to result from that decision. Of course, this interview will fill Victor with rage. When he gets a chance to retaliate, it won’t be pretty. 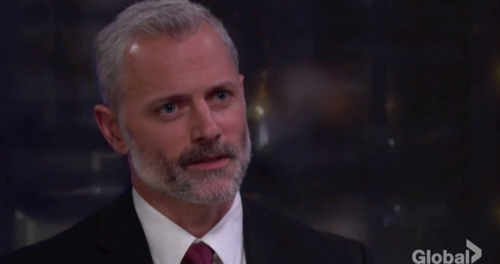 The Young and the Restless spoilers say Nick may regret going this far to punish his father. Elsewhere, Graham (Max Shippee) and Ashley (Eileen Davidson) will have a heated confrontation. When Ash pushes Graham’s buttons, he’ll push right back. Graham will wonder if Ashley really wants to do this and she’ll insist that she most certainly does. This is a dangerous move since Ashley will know Graham’s real last name by then. Will Graham explode over Dina’s (Marla Adams) affair and the destruction to the Davis family? Graham and Ashley’s honesty hour will leave the Abbott clan reeling! We’ll keep you posted as other Young and the Restless news comes in. Stick with Y&R and don’t forget to check CDL often for the latest Young and the Restless spoilers, updates and news.